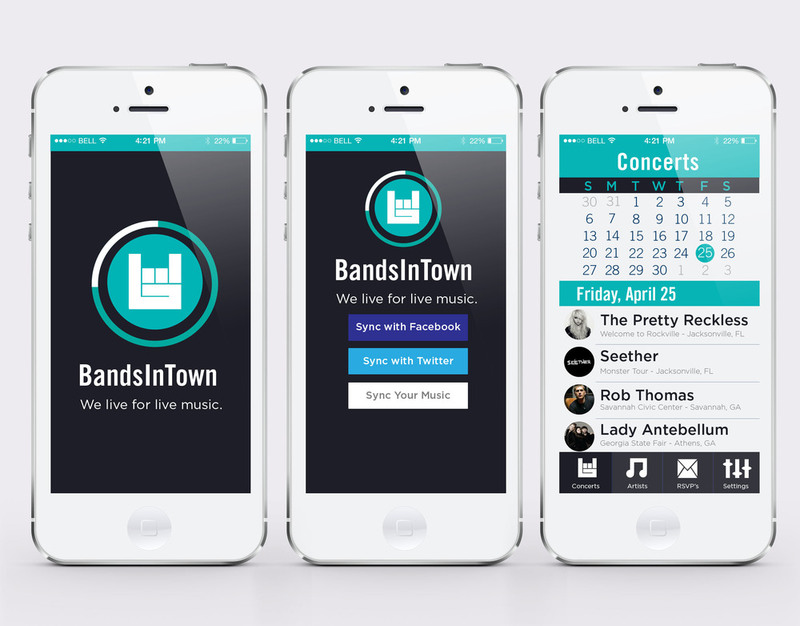 With music lovers and concert goers all over the nation, BandInTown is the go to mobile appliaction that today's generation uses to find out where their favorite artists are playing next or what bands are playing tonight in the area. The current app has many strengths, hence the reason why so many people use the app. It contains dynamic content about concerts and artists all over the nation, users are able to sync your music to the app so they are automatically following their favorite bands and users can see what shows are happening tonight right in their town. Some weakness of the app include excessive amounts of scrolling, a "concert cloud" that is confusing to users when they open the app and a lot of content on each screen. Opportunities to help improve the BandsInTown app would be to develop a stronger navigation for the user, to add a calendar feature for easy access for upcoming shows, and to simplify the interface aesthetic and overall experience for music lovers of all ages. After the feedback I received from my wireframes, I then developed these final designs for the landpage, concert calendar, artists' pages, concerts' pages, and the artists that the user is a fan of (the music BandsInTown synced with the users phone).